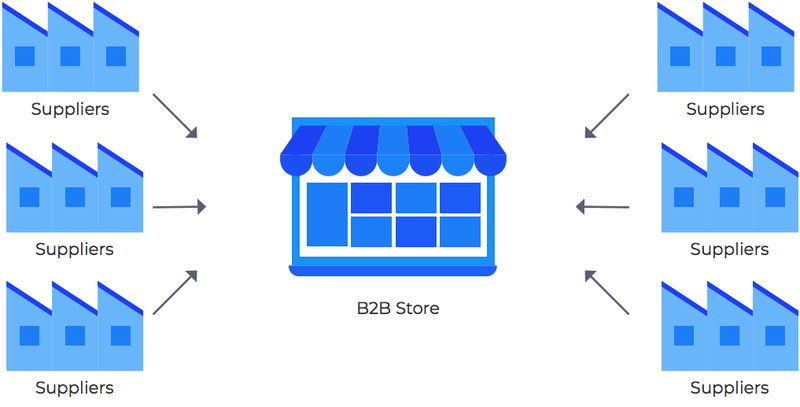 B2C and B2B are two different spheres of Marketplace. Business to Consumer(B2C) model involves selling the product and services directly to the consumer. In this, the consumers browse the products online, decide to make a purchase and proceed to checkout. Therefore, the purchasing process for B2C customers is less complex. 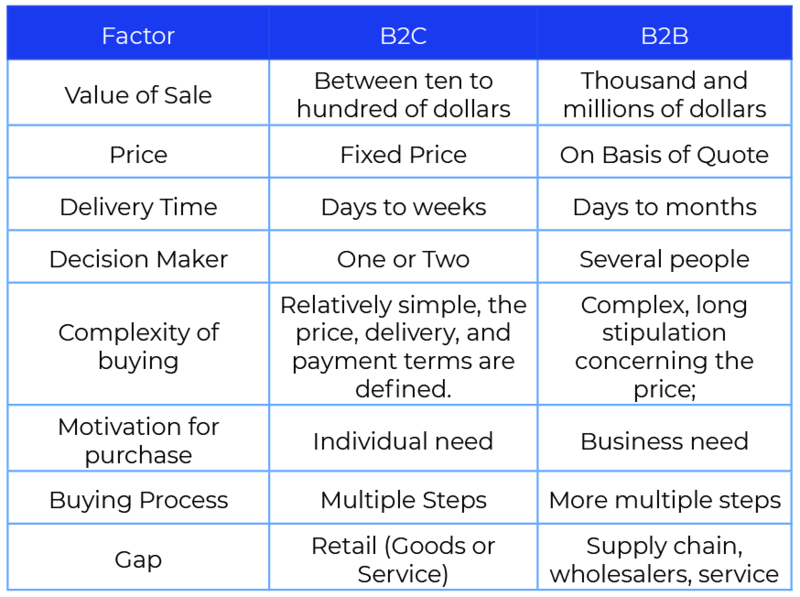 While Business to Business(B2B) model facilitates online sales transactions between two businesses. In this, buyers are generally repeated customers with big orders. This makes the purchasing process more complex. The basic parameter which differentiates the two is “customer”. The businesses and individual consumers purchase for different reasons and conduct business in entirely different ways. In B2C customers select products based not only on price but on popularity, status, and brand while B2B customers make decisions on price and profit potential and as per their business requirement. B2B involves repeated customers with big orders. Therefore, maintaining long-term relationship becomes uttermost important. This makes customer log-in important for customer after-care. Also, making it quick and easy for buyers to reorder. While B2C streamline the buying journey avoiding the need for registration and log-ins as the average consumer prefer not to sign up or register while purchasing. The study shows that they often abandon the purchase when they’re forced to login/register. In B2C, the purchase journey from “Add To Cart” to “Thank you for your purchase” is as smooth as possible. Throughout the process, the customer should feel comfortable, confident, and secure. While in B2B, the purchase process is slightly complex, unique and more careful approach needs to be taken because it involves bulk purchase orders. In B2C, consumers who buy products pay the same price as other consumers. But, in B2B, the price may vary customer to customer. Because the customers who place large orders or negotiate for special services pay different prices.